You can read again the complete information about Junior Euroweek in Malta at the ESCKAZ blog (photo/video/instagram). In 2007-2014 ESCKAZ has firmly established itself as the leading site in coverage of the contest, alongside official site. 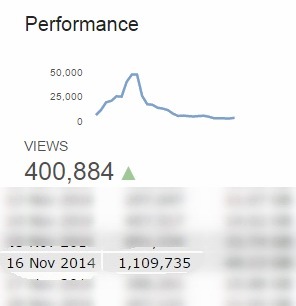 This year, ESCKAZ video reports have reached 300.000 views on Youtube during the span of 10 days, which is at least twice better figure than of any other independent website (yet can't be compared to our own figure of 2mln at adult ESC). We have got over 1 mln hits on our webpage on the night of the show as well. ESCKAZ has Delivered You First: reports on arrival of the delegations, report on the Welcome Party, first exclusive video interviews with ALL 16 participants of the contest, press-conferences videos, reports from school visits and social outings, complete photo/video reports from rehearsals, the dress-rehearsal 1200 photos and videos and HoDs reactions etc. You can watch the show again on official site here (commentary by Luke Fisher and Daniel Testa), or without commentary here and separate performances on Youtube in HD here or here; or with Russian commentary here (Radio Rossiyi here), or with Ukrainian commentary here (Radio Promin here), or with Maltese commentary here, or with Dutch commentary here, or with Italian commentary here, with San Marino commentary here, or with Georgian commentary here, or with Swedish commentary here, or with Slovenian commentary here, Australian broadcast here, Radio Six broadcast here. Opening ceremony can be seen in full here, and our report from it here. Watch the winners press-conference here and our interviews with them here. You can purchase the official album digitally on iTunes. It is also possible to purchase joint song #Together. Unfortunately, the physical album once again was not released for the purchase. Russia: 1.4% (increase from 0.8% last year). Watch different national broadcasters reports about the show: Armenia, Belarus: diary, TV reports, Youtube, Bulgaria: BNT, Youtube, BTV, Cyprus, Georgia, Italy, Malta, The Netherlands, Montenegro, Russia, San Marino, Serbia, Slovenia (Youtube), Sweden, Ukraine. Known results: Sweden jury; Italy tele. No countries can be confirmed for JESC 2015 at least before Summer 2015, but The Netherlands is already accepting entries for Junior Songfestival 2015 (deadline - March 7). 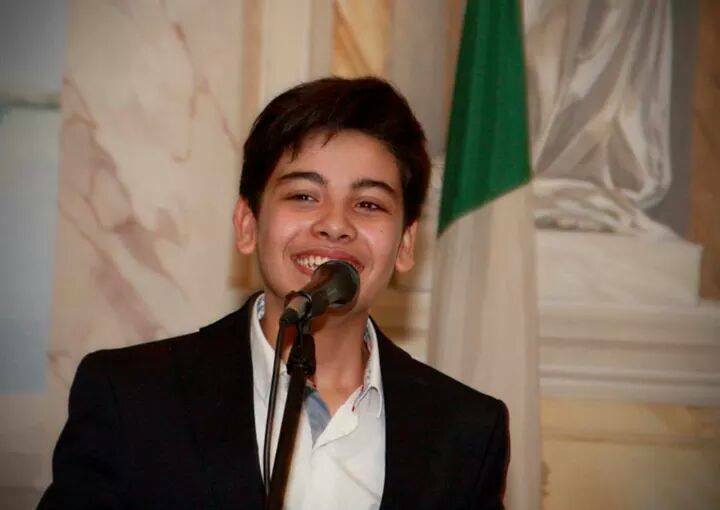 One of the members of "The Peppermints" Anita Simoncini, together with JESC 2013 participant Michele Perniola will represent San Marino at adult Eurovision 2015. Once again, under the motto "Delivering Eurovision news first!" ESCKAZ launches live blog from Malta. In this blog correspondents of the website will report live from the island of Junior Eurovision about all happenings: rehearsals, parties, press-conferences, excursions etc. Stay with us to learn Junior Eurovision news First! First reports from Malta will be available on November 7th. Watch new video for the Russian entry at the Junior Eurovision 2014 "Dreamer" by Alisa Kozhikina. It doesn't get bigger than this: ESCKAZ is ready to reveal the outcome of it's ratings for the Junior Eurovision Song Contest 2014. Last year, the winner of our panel vote Gaia Cauchi has confirmed her position at the big event itself, and we wish the same success for winner of our 2014 reviews. ESCKAZ ratings is the most prestigious online rating system for Junior Eurovision Song Contest participating artists, usually published right before the start of Junior Eurovision week here on ESCKAZ.com - the most visited unofficial Junior Eurovision portal. This year ESCKAZ again brings back for the already 6th consecutive year the concept of rankings made of three-tier system, which include marks for each songs from "Junior Jury", "Professional Jury" and viewers vote. As usual, within "Junior Jury" we tried to gather children and already grown-ups of different ages (15 to 22), who took part at the Junior Eurovisions of different years (2003, 2006, 2008, 2011) representing different countries of Europe. This year we have 6 members inside this Jury. "Professional Jury" of ESCKAZ website is made of Eurovision expert Andy Mikheev (the only independent press member who had worked live at JESC 2007-13 and will be heading ESCKAZ team live in Malta as well), OGAE Rest of the World president Roy van der Merwe from South Africa and our correspondents Mikhail Kesarev and Alexandra Ivanova. "Public jury" is the result of our site's poll. Stable visiting figures from all participating countries give us a right to say that outcome of the biggest JESC online poll is quite representative as the opinion of contest "fanbase". You can read full rankings here. This Sunday, Julia with her dancers will be leaving for Malta. AVROTROS Junior Songfestival website will be providing extensive coverage, through which fans will be able to follow Julia's experience, every day there will be new backstage video reports online. The trip, the opening party, the hotel, the rehearsals - everything will be covered. Watch promo video here. Do you have a good idea for the backstage video? Do you have questions for Julia, Jan, her dancers or someone else? Fill in the form at the bottom of this page and you may see your question answered in one of the reports. Live broadcast on AVROTROS/Nederland 3 on November 15, 19:00 with Jan Smit as commentator. 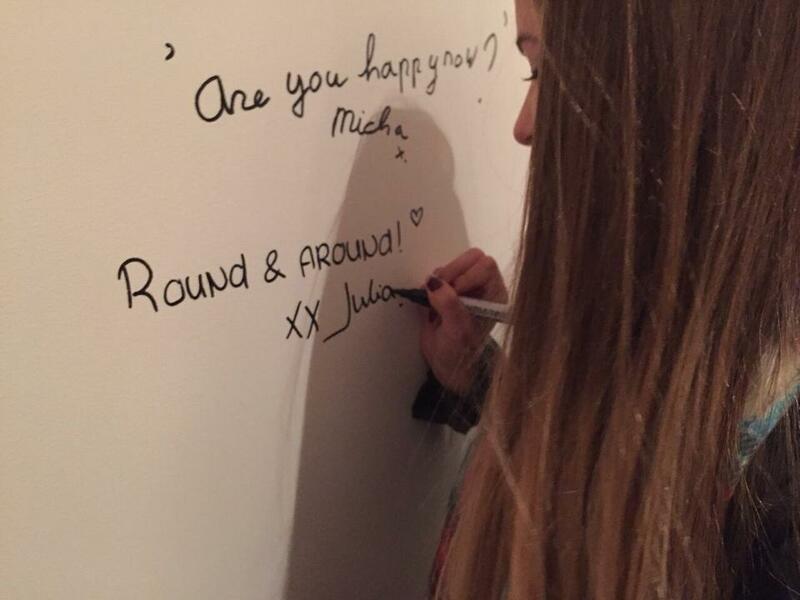 Just few days left before Julia will depart to Malta for Junior Eurovision. AVRO has released video showing Julia in more common for her atmosphere - in school with her friends and teachers - watch it here. 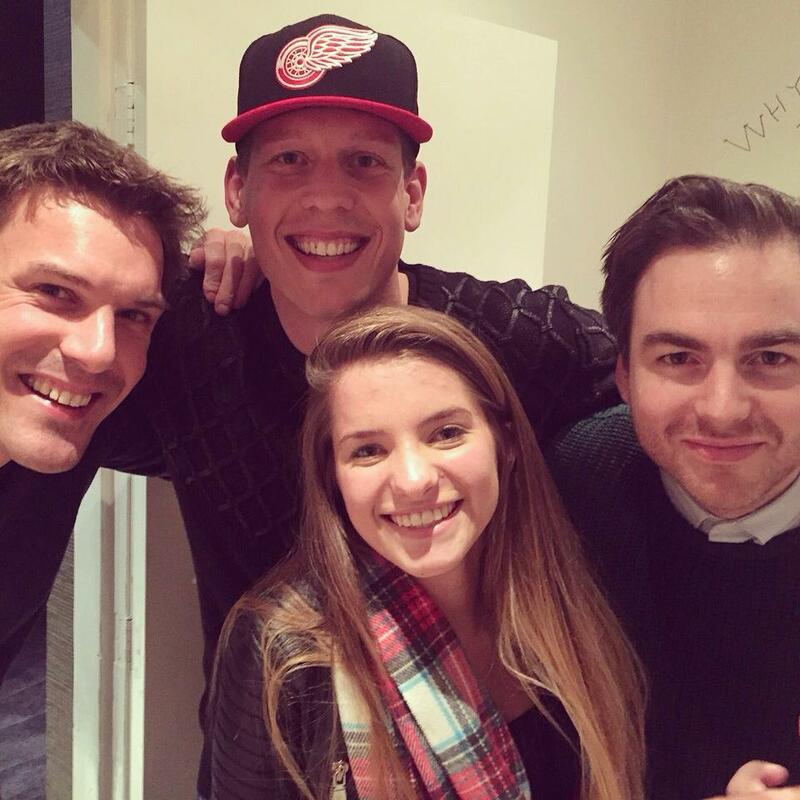 Julia has also visited The Rocketeers studio for the last rehearsals with her vocal coach Robin - watch short video here. She was also immortalized on the "wall of fame" of the Rocketeers. Julia Kedhammar's performance on stage in Malta will be inspired by a beach club theme, with lots of warm colours. She will perform together with four backing dancers, and the performance will also include some cool light effects to impress the audience. Lighting will also be the key for the performances of Alisa Kozhikina and Vincenzo Cantiello who will be alone on the stage. More artists will be performing alone: The first part of Emilija Djonin's performance will be more intimate and romantic, and she will be playing the piano. Once she stands up and continues her song, Emilija will give a more colourful performance, and show her true power - her voice. Ula Ložarand Federica Falzon will also be alone on the stage and are hoping that their voices will power through and across Europe. Krisia Todorova will be singing, and Hasan and Ibrahim playing pianos around her. Dry ice was included as part of the preview video, and is expected to be a feature on stage in Malta. 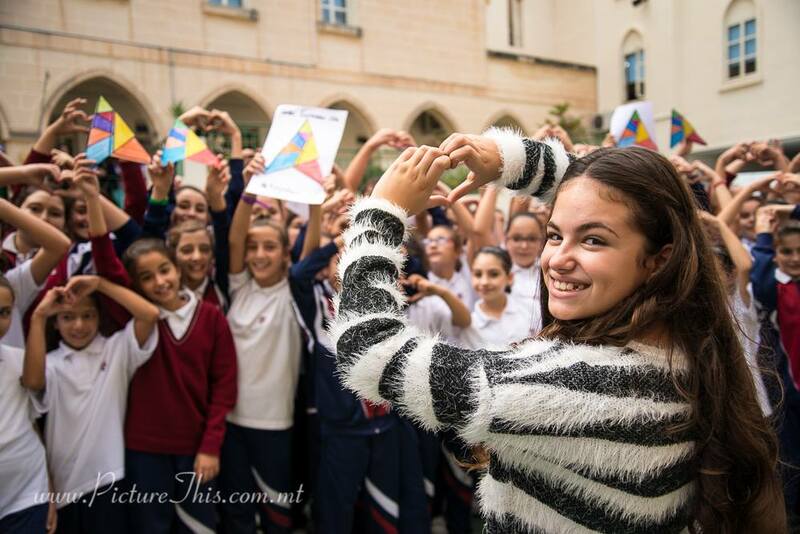 Julia van Bergen's performance in Malta will not be disimilar to her stage act in the Junior Songfestival. She will be joined on stage by four male backing dancers, who will enhance the performance around her. Josie promises to give a very strong, playful and dynamic performance. She'll be joined by two dancers, with an energetic on-stage atmosphere. The dancers accompanying Nadezhda Misyakova play an artificial instrument called "duda", while wheat fields and forests will be key elements to the backdrop. The Peppermints promise a dynamic performance, with a choreographed performance, in blue and white lighting. Maša and Lejla also hope to create a joyful atmosphere full of positive energy, happiness and dancing. Sophia Patsalides will have a bright and energetic performance, in line with the spirit of her song. Charis Savvas will be responsible for the choreography and staging. Plans for Betty's staging suggest a sunshine and colourful theme to the presentation, several props, and one "wow" element sure to surprise viewers. The stage choreography of trio Sympho-Nick" will underline the importance of unity of three components for any plant to grow and bloom in spring. Therefore, each of the girls will hold a leaf symbolising a seed, water and ground. When all these elements come together, magic will happen on stage! "Thanks to Tetiana Ostroverkh, an experienced choreographer well-known in Europe, the viewers will have the opportunity to feel the atmosphere of the fairytale on stage. In today’s difficult time, that Ukraine is experiencing, a fairytale is extremely needed by the kids and by adults", says NTU. Armenian participant of the "Junior Eurovision 2014" - Betty (Elizabeth Danielian), who will perform in Malta her song "People of the sun", promised at her press conference to represent Armenia on a high level. "I promise to perform well and not let viewers in the audience remain indifferent. The performance will be in the first place, sunny"
"I was very happy when I was chosen, since it was a childhood dream for me to participate in this competition", - said Betty. On the Eurovision stage with her will perform another five children: three girls acrobats and two boys dancers. As mascot Betty will take to Malta her teddy bear. Speaking about the recently presented music video for the song, Betty noted that the creation of video in the format of "selfie-video" was her own idea. "It was my idea. I noticed that the "selfies" have become very popular throughout the world, and decided to use it in my video. The shooting was held in a very funny athomosphere. I think it turned out really well", - she said. Head of the Armenian delegation Gohar Gasparyan said that in 3 days time the delegation will travel to Malta. "This year's competition will be held under the motto "Together". With the same mood we go to Malta to present the charm of Armenian children". "Of course, I dream to win that next year the contest is held again in Armenia. But my main goal, is to have a good time, to make new friends and to try to please the audience. I listened to the songs of other participants, all of them are very good, and I try not to consider them as competitors, they all are my friends, and I hope that we will have a good time together"
You can see footage from the press conference here. We're entering the last week before Euroweek in Malta and are already on the final line with the pre-contest interviews with the participants of Junior Eurovision 2014. Our next guest is girl of many talents: singer, composer, writer, programmer, vlogger... Josie Zec from Croatia. Find out how her contest entry "Game Over" was created and how Josie is preparing for the contest in Malta here. 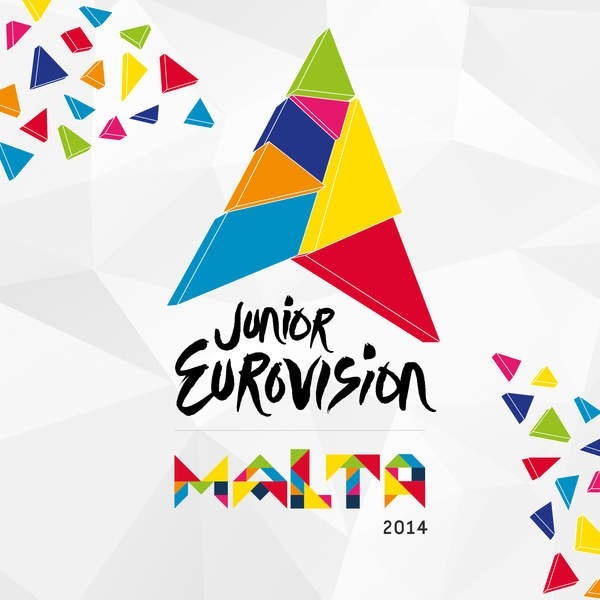 Official digital album of Junior Eurovision Song Contest 2014 - Malta has been released today. As usual, it includes 16 participating entries in both their studio versions, as well as karaoke versions. The album is distributed by Universal Music (Pty) Ltd. and is already available on such a popular digital stores as iTunes or 7digital etc. The album is available worldwide, except for US and Canada. Unfortunately, as in 2013, there will be no public sales of physical CD, because song submissions were too late for the physical CD to get printed and distributed. Streaming services, such as Spotify, currently have only track of Sweden "Du är inte ensam" by Julia Kedhammar on offer. Several tracks on the CD are longer than 3 minutes allowed by the rules of the contest. Earlier, EBU's Luke Fisher has answered this question saying: "All the backing tracks that everyone submits have been checked to make sure they're the correct length. That said there is a bit of a tolerance... in both Eurovision contests, you could quite easy see a couple of songs each year been 3-4s over three minutes if it involves some sort of fade in/out". There are no backing vocals on karaoke versions of Russia, Croatia, Bulgaria, Montenegro and Slovenia, yet it is not known if the same backing tracks will be used at the contest, or, as in case with Slovenia, they will be changed. Serbian representative Emilija Đonin says: "All my days are now full of different commitments. But I do not mind that, all of this and other things - I just enjoy it!". In addition to the new commitments related to her participation in the Junior Eurovision she is also attending 8th grade in the primary school, secondary music school and was actively taking part in a "Teen Talk" conference, dedicated to the problems and dilemmas of teenagers. On Sunday, November 2, Emilija was guest at "Nedeljno popodne" program of RTS 1, where she has performed live song of Amy Winehouse "Valerie". Short interview with the singer can be seen here. Emilija Đonin has also appeared in TV show "Žikina Šarenica" on RTS1 Serbia, and you can watch her interview (in Serbian) and on stage performance of her entry "Svet u mojim očima" here. 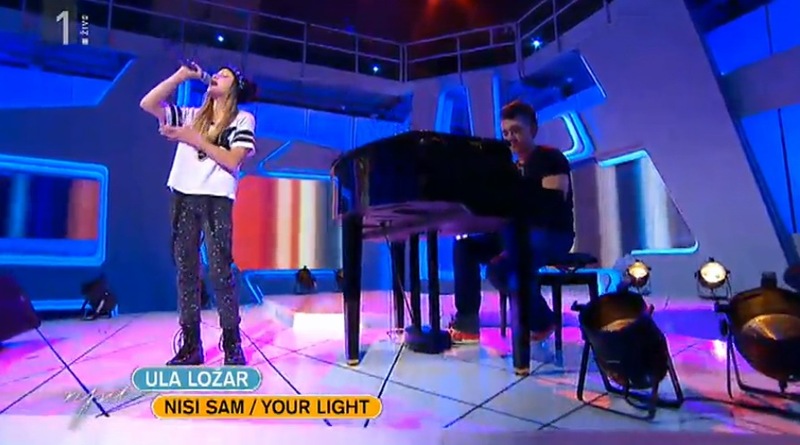 Representative of Slovenia Ula Ložar made another guest appearance on the programme NPU on RTVSlo 1, hosted by Ula Furlan, where she gave first live TV performance of her contest entry "Nisi sam / Your light". She was also able to meet and chat with Eurovision 1995 and 1999 entrant Darja Švajger who also was guest in the show. Watch Ula's performance in the show here (starts 1:12:00) or here. Fans have immediately noted some changes in the version of "Nisi sam" that Ula has performed in the show. ESCKAZ contacted for comments co-writer of the song, composer and producer Raay and vocal coach of Ula Marjetka Vovk, also known as duet Maraaya. "Before we got the completed final live version, we've had some time to upgrade the last part of the song with some power backing vocals at the last finishing chorus and to add some vocal ad-libs just before that. This version will be performed in Malta indeed", says Raay. "It was Ula's own idea right from the start to do some of low ad-libs on this part, while we were rehearsing the song she kept singing this melody in this part until we all fall in love with that", adds Marjetka. Composer of Georgian entry "Happy Day" Giga Kukhianidze has talked with "Reitingi" magazine. Giga has a Junior Eurovision record everyone can be proud of: his song were twice winners of the competition, once - runner-ups, and never fell below 5th spot. "The preparations are going great. We have filmed music video, and it got positive feedback from internet users. We have developed a very nice promotional package, which we will distribute at the contest, that traditionally also includes promo CD. The outfits are ready, created by experienced designer Marika Kurdubadze. Our singer Lizi Japaridze despite being just 10 years old, she speaks English, Russian, French. She has been working from the very early childhood in our "Bzikebistudio", she sang duet with group "Candy", she had a lead role in our short musical, had released several music videos and performed at the concer venues. So cameras and stage are no strangers for her. She has impressed everyone at the castings, and GPB jury has chosen her for the contest. Our song comes with a message to the world that kids want to be happy every day... I kindly request everyone who likes our entry and sympathize it and it's message to share it on Facebook and other network, to leave their comments. This year there are 16 countries taking part in the competition. It is very difficult to predict anything in advance, despite the fact that I have so much experience. You can not draw any conclusions before the start of the rehearsals. The most important is that the child is well prepared, his stage presentation is distinctive and every it's participant gives his best. Our performance will be pretty much childish, but we always take into the account the age of the performer. 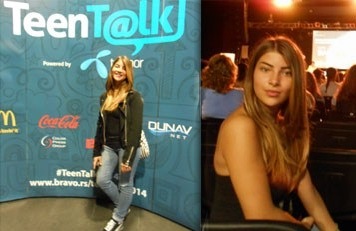 Say, Mariam Kakhelishvili was 15 and we've done appropriate staging for her age. Our performance will be modern, there will be 4 girls on the stage besides Lizi, including two acrobats: Nita Lomidze, who is daughter of Tea Gobejishvili and Kate Arbolishvili, and two girls from "Bzikebistudio": Dea and Sopho Dashniani. They will have rather extravagant outfits. This year again our performance will be very much different from all our previous performances at the contest, and it makes me very happy that having the same group working on the show every year we manage to offer to the viewers something new". Georgian delegation will be departing to Malta on November 8. Less than one week is left before ESCKAZ team will travel to Malta to report live from all the Junior Euroweek happenings. Participating artists are also finishing their home rehearsals and their acts are already polished to the maximum. This time we have spoken with Sophia Patsalides from Cyprus. Unfortunately, she chose not to reveal yet any information devoted to her stage act and choreography on which she is working with Charis Savvas, but we have learnt other interesting details on her Eurovision journey. Check the interview here. 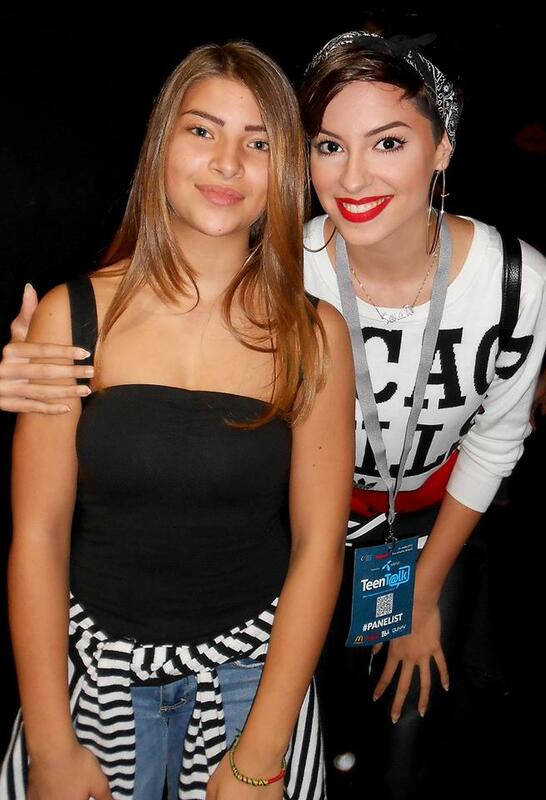 Bulgarian Junior Eurovision hopeful Krisia Todorova has met BNT hostess Mira Dobreva in her home town of Razgrad. In the show "Otblizo s Mira" this Saturday talented little singer will reveal that she is a big fan of football and one of her favorite weekend activities is to play a match with the boys of the town. "But only if they are good," she says. In the show, which begins at 11:00 on BNT 1, it will became clear that Krisia and football team "Ludogorets" are the great pride of Razgrad. Krisia will tell that every day she can not wait to get home to share with her favorite teddy dog ​​the most interesting stories of the day. Viewers will also learn what is Krisia's favorite book and she will tell about her excitement of participation in Eurovision. Viewers will also see how Mira Dobreva was greeted at the school by Krisia's classmates and teachers. "Throughout the day, despite her busy schedule, Krisia acts like a real pro, and her smile is always on her face. Even when she was asked to perform only one verse of "Planet of the children", she sang the complete song - as if she is on the stage in Malta", say Mira Dobreva. Promo-video to the program can be seen here. Watch the complete episode with Krisia here. Starting 21:40 Krisia sings her song "Planet of the Children" live. Our next guest is the representative of Italy Vincenzo Cantiello, who has just returned from his first international tour to Washington, US. Check the interview with the only boy in the competition here. Italian website Eurofestival news reports today new details in regards to the show broadcast on Rai Gulp. As anticipated, Antonella Clerici will be at the helm of the special "preview" part from 18:40 to 19:00, and then will have two live connections with the studio during the commercial breaks, and will round up the show after it's end. It is expected that among special guests of the live studio will be rapper Moreno, winner of the talent show Amici. However, it has been revealed today that it will be 27 years old Simone Lijoi, who will comment on the whole show live from 19:00 to 21:30 CET. Simone is known to younger audiences for the role of Luca Caviglia in the hit series Violetta (broadcasted on the Disney Channel), and every Sunday at 18:20 he hosts "Gulp Cinema e Teatro" on Rai Gulp. The Italian hashtag for the final on Rai Gulp is: #eurogulp. 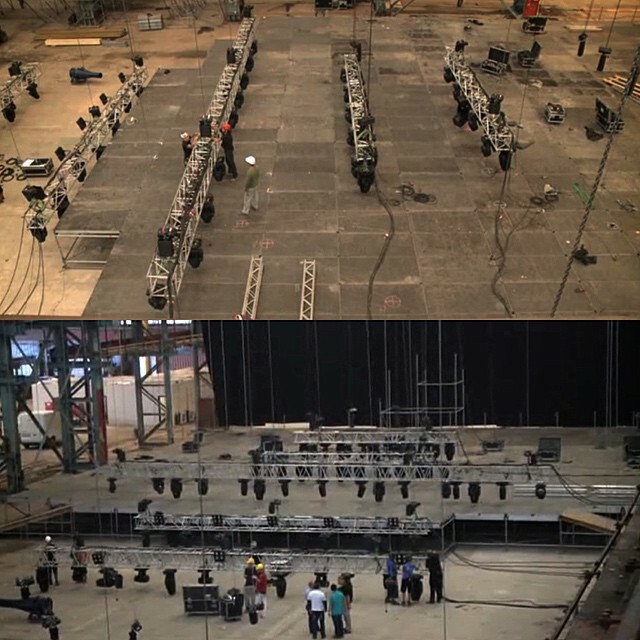 Two weeks away from the Junior Eurovision Song Contest, three large steel structures in Malta Shipbuilding in town of Marsa started being transformed into a huge arena for the biggest musical event. 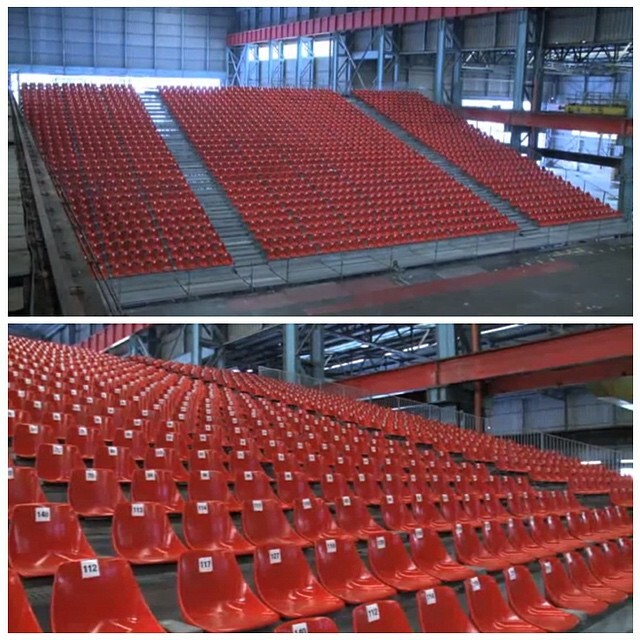 The arena will have capacity of 4,500 seated spectators and 800 other people will be standing in front of the stage. Workers of large structures built 40 years ago for the work related to the construction and repair of ships, never predicted that one day, the same structures would be used for concerts of the scale of the Junior Eurovision Song Contest and Eurovision Song Contest Malta. The three structures that were serving as warehouses for shipyards, currently are filled with various activities, that are aimed to transform the area with the size of three football pitches into something that according to the artistic director John McCallugh should give the impression of classical theater with balconies boxes on the sides. As expected the venue of Malta Shipbuilding, which had been abandoned for years, offered many challenges for the organizers. Charles Magro, responsible for the preparation and logistics, said that in recent months big work has been done on the site to make it ready to welcome the international event. Officials of the European Broadcasting Union are said to be impressed with the way Malta is preparing for this event, which in the words of Mr. Magro shows that Malta is indeed capable of organizing an international festival of the highest level. Junior Eurovision team has announced today a new initiative for fans of the contest from outside the participating countries – the online vote. For the first time, fans from Australia to Brazil and America to South Africa, will be able to cast a vote in the Junior Eurovision Song Contest. Fans from outside the 16 participating countries will have the chance to vote for an "Online Award" – a special symbolic trophy that will be presented to its winner in the press conference after the show. This year votes cast online will not have any influence in the official show outcome, but will enable everyone following it to still support their favourite song in some way. 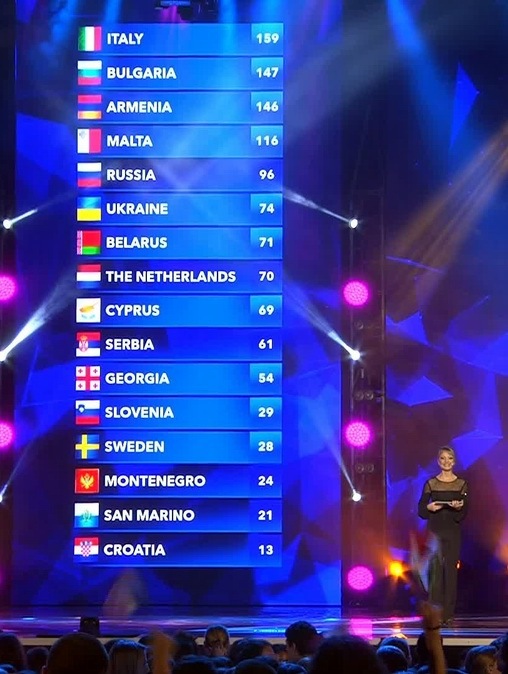 During the televoting window, viewers of the online stream will be directed an internet page to where they can vote online. One will be able to cast one vote for your favourite song. All of these votes will be added together, with the winner receiving the "Online Voting Winner" symbolic trophy after the end of show broadcast. The voting will close at the same time as the televoting shuts. New televoting partner, Sound of Data, has developed the online voting platform alongside their preparations for the televoting, to ensure a series of controls are inbuilt to stop any potential vote manipulation. Only people located outside of the 16 participating countries will be able to participate in this new initiative. 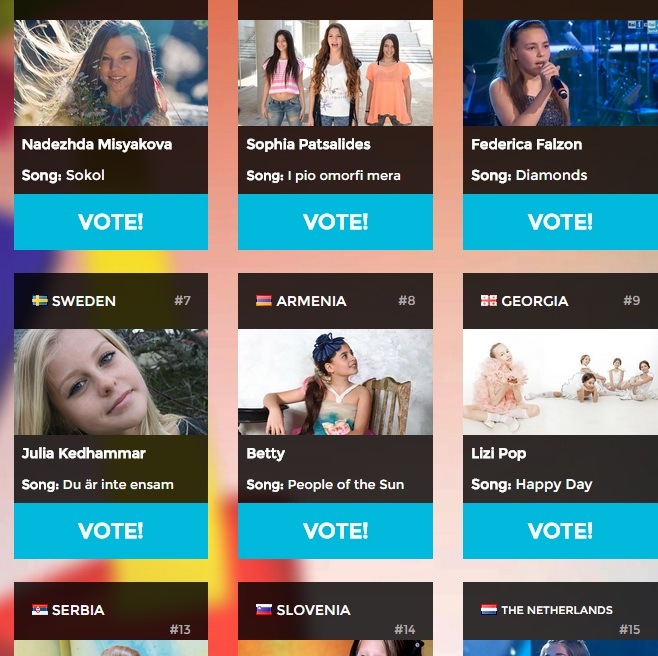 Those inside the participation counties can, of course, telelvote for their favourite songs in the official voting of the contest. One can watch the 2014 Junior Eurovision Song Contest live on JuniorEurovision.tv from 19:00 on Sautrday 15 November. English language commentary will again be provided on the stream, giving the chance to interact using hashtag #jesc2014. Public TV of Armenia has presented selfie music video for "People of the Sun" of Betty. "Selfie-video has no analogues in history, not only in the Eurovision, but also in a world practice", says head of delegation of Armenia Gohar Gasparyan. Armenian delegation has attepted to shoot the music video in youthful style incorporating this year's contest motto #together. "Internet is an integral part of our life, and today, almost every young person is registered in social networks and are doing every day selfies, publishing them on their pages, that's why we decided to implement selfie-video", explained Gasparyan. Gohar considers Armenia as one of the favourites for the victory: "It is necessary to have a charm, through which participant will be able to appeal to the audience, but the other components of good voice, good song, stage skills and energy are not less important - only a combination of all of them can lead to the victory", she says. Betty herself hopes that everyone will like the video, which introduces her beautiful city. She was happy to meet again her friends from previous Junior Eurovisions during shootings and they had a good fun together. Now Betty is looking forward to sunny days in Malta in order to gain new friends and spend great time. She is confident that she can win the show, and to do so you don't need any special means to attract, just to stay happy because happiness always wins. Among other countries Betty's favourites are Sweden, Bulgaria and Georgia. The studio "Your Today" of "SB" newspaper was visited by Nadezhda Misyakova, representative of Belarus at the Junior Eurovision 2014 and Lyudmila Borodina, head of the national delegation, as well as experts - Dmitry Parton, deputy editor of "SB", Victoriya Popova, editor of the culture department of "SB" and Vladimir Maksimkov, TV producer. In addition to the issues directly related to the preparations of Nadezhda for the contest, they discussed the hot topic: where disappear young talents after their decent performances at the Junior Eurovision. Complete recording of the program (in Russian language) can be seen here. "The song was born at home, in my own room. My room is a mini creative workshop, there reigns the inspiration, and I feel in it like in an own fortress. There often are born poems, songs, there also is synthesizer, which I can play along", says Nadezhda. "In the past year, we have already enjoyed cooperation with singer and composer Uzari, we understand each other very well, we talk the same language, so arrangement of "Sokal" was also given in his hands". "If the seed, created by child, from which grows the song is really talented - then you should not invade deeply into the author's intent, you can only adjust, add some colours", adds Lyudmila Borodina. "Our team of adults who work with the children is very delicate, they are always interested in the views of the child, whether he likes or does not like something, it is important that the artist going on stage is feeling confident and comfortable". Nadezhda herself is very satisfied with this process: "Adults always listen to my opinion and they are very nice to me. We have a pretty busy schedule, but I get great pleasure from the process of preparations". "It is great, that the song has been written by Nadya herself, she will sing her own words, and display her own emotions. Sometimes it is very sad, when at the qualifying round, we see a talented child who does not fit his song, it often occurs when a child didn't write a song himself, but the adults decided it for him", says Lyudmila Borodina. Nadezhda has also informed that she has passed through the qualifying rounds, reaching the level of the blind auditions in the show "The Voice. Kids" in the Russian Channel One, however, the formation of the teams was over before her performance, and because of the Eurovision preparations, she could not devote time to the second big project. "I'm not sorry that it has happened, after all Eurovision is a very large-scale competition. Everything has happened just like it should have been. Maybe a couple of years later, I will apply for the adult "The Voice". "Last year, when Gaia Cauchi won, right after the contest, one of the journalists told me that he was afraid since the ballad has won, the next year will be full of ballads. This year, in fact, about half of the songs are ballads. Without attempting to do any estimates and forecasts, on a general level Nadya's song stands out, it is different, original, and it's a bonus for us", says Lyudmila Borodina. 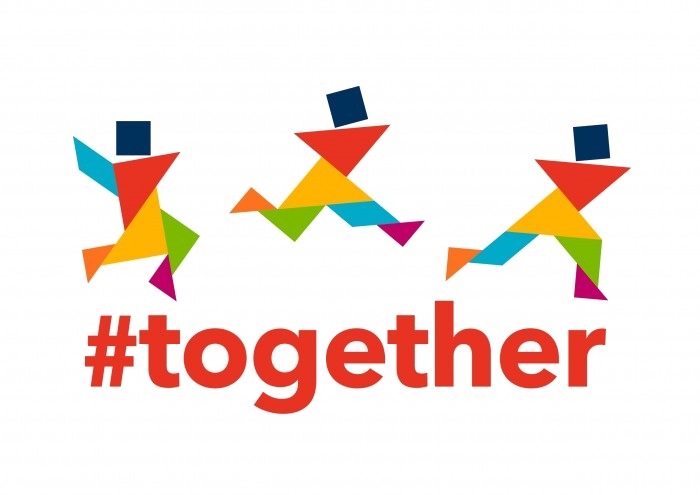 "#together", the theme song of the Junior Eurovision Song Contest 2014 was launched today at mid-day at St. Francis School in Sliema. 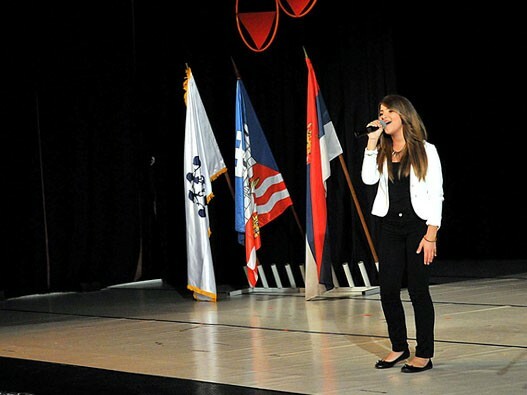 The song was performed for the first time in public by the last year’s Junior Eurovision winner Gaia Cauchi. The theme song is composed by Elton Zarb and Gordon Bonello, and penned by Matt Muxu. The event also hosted a dance show prepared by a group of young dancers called Dance Project under the direction of Kristina Ann Schranz. The launch was held in the presence of the Minister for Home Affairs and National Security, Dr Emanuel Mallia who is also responsible for the national broadcasting station, the Chairman of PBS, Dr Tonio Portughese, the CEO of PBS and Executive Producer of the show, Mr Anton Attard and the Head of School Sr Edmondina #together with members of the Maltese JESC Delegation, lecturing staff and all the students attending the school. Additional information on the common song as well as lyrics is available here. Fans of the Junior Eurovision Song Contest in Australia will again be able to see the show on their televisions, as SBS has confirmed its broadcast details for 2014. Having broadcast Junior Eurovision on a couple of months' delay for several years, in 2013 SBS showed Junior Eurovision the very next day, and will repeat the format this year after positive viewing figures. It has now been decided that the 2014 Junior Eurovision Song Contest will be broadcast on SBS 2 at 19:30 AEDT – meaning that Australian fans will get to see the show just 12 hours after the broadcast finishes in Malta. 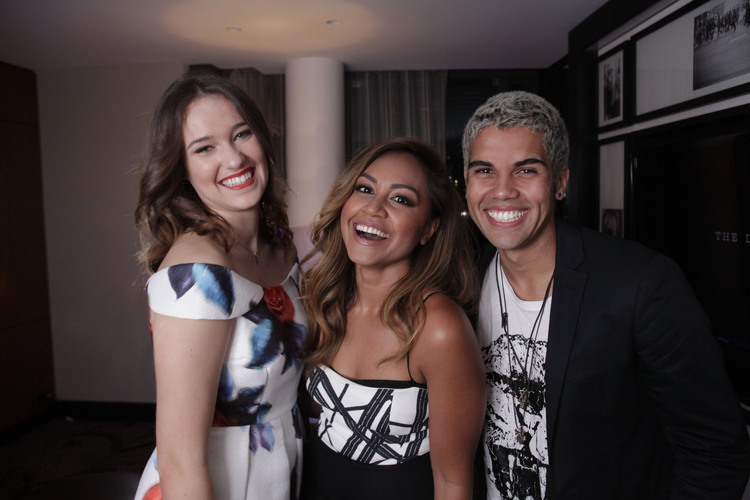 Following the rapturous reception of Jessica Mauboy's performance in the 2014 Eurovision Song Contest semi-final, Jess will introduce this year’s junior competition, before handing over to two of Australia's young stars - 21 year old performer / producer Andre Nookadu and 17 year old singer/dancer/actor and Young Talent Time finalist Georgia McCarthy who will help audiences discover and rally behind their favourite 10 to 15 year old superstar performers as they vie for Eurovision glory. Promo-video of the broadcast can be seen here. For the dedicated fans who want to watch the show live, JuniorEurovision.tv will, once again, carry the show live – that'll be from 05:00-07:30 AEDT in Australia. Representative of Sweden Julia Kedhammar has released music video for the acoustic English version of her contest entry "Du är inte ensam" titled "You Are Not Alone". Video has been produced by Sky Pictures. Next guests for the interview sessions at ESCKAZ are representatives of Montenegro Maša Vujadinović and Lejla Vulić. Lovely girls will come to Malta with the ambition to infect all the viewers with their smiles and to spread a dose of optimism through the TV screens. You can read about their preparations for the big event - here. 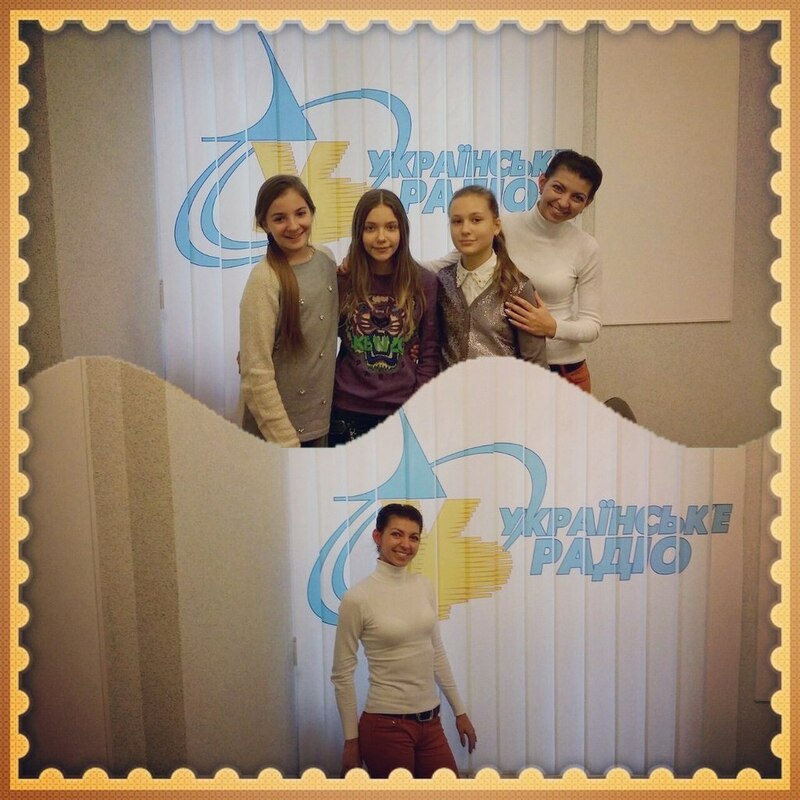 Last Friday, representatives of the Ukraine, trio Sympho-Nick were the guests of the show "Radiopres" on radio station "Promin". They presented to the Ukrainian radio listeners their song "Spring Will Come" and talked about their preparations for the finals of the international song contest. Other guests of the program were representatives of NTU Lily Iamborak and Timur Miroshnichenko, journalists of Teleprostir Volodimir Mula and FM-TV Vladimir Biryukov, who discussed not only the country's participation in the Junior competition, but also the problems of participation in adult Eurovision. "In addition to the vocals and choreography classes, we participate in various programs on the First National Channel. 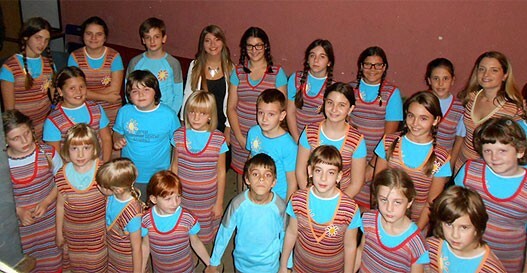 We have already took part in "Kazki lіrnika Sashka", "School of Mary Poppins" and "I want to be". We also find time to talk with our and Eurovision fans at various on-line conferences", told members of the band. "Unfortunately, we have not had time to talk with any of the participants from other countries yet, but we hope that in Malta we will become friends with all of them". "Song "Spring Will Come" reflects primarily the internal state of the girls. It's gentle, lyrical composition with dynamic accents. Of course it reflects also the current situation in the country and gives hope for a brighter future. With this song girls wanted to show that there still exists and lives faith in the future, that spring will eventually come, spring of free and independent Ukraine", says Lily Iamborak. On the question of whether it is appropriate to perform patriotic song at the Junior Eurovision, Timur Miroshnichenko said: "Eurovision stage - this is a serious foothold in order to show own position, own idea, to bring it to the European audience, so I think it's absolutely the right decision". He also said that at this time all the experts and fans of competition positively assess Ukraine's entry. "Sympho-Nick are already very professional artists, as agrees everyone, who saw the performance of the group". In her turn, Lily Iamborak told that at the moment there is no decision on whether next year NTU will continue to participate in the Junior competition, or it can also take a year break, as on the adult one. Speaking about the vote of the Crimea, Iamborak replied that in Junior competition situation will be addressed in the same way as at the adult Eurovision: these votes will be counted depending on numbers of which country mobile operators those SMS votes will be sent. You can listen to the recording of the program (in Ukrainian) here. Bulgaria returns to Junior Eurovision strong, sending the extremely popular little Krisia Todorova and talented twins-pianists Hassan and Ibrahim Ignatovi. The video for their song "Planet of the Children" has already hit 500.000 views mark on Youtube and is aiming to become the most watched JESC 2014 entry there in the nearest future. Their Facebook page has hit 16 thousands likes in almost no time. Among busy days of rehearsals and preparations we have chatted with Krisia, Hassan and Ibrahim - check their interview here. Our next guest for the interview sessions is Julia Kedhammar from Sweden. She speaks about her preparations for the big happening in her life, changes in the stage presentation, and addition of English language chorus to the song. You can check the interview here. Junior Eurovision 2014 will be broadcasted on SVTB channel, commented by Edward af Sillén och Ylva Hällen.​ Last year's entrant Elias Elffors Elfström will be Swedish spokesperson at the show. Watch the first episode of Lilla Melodifestivalen, that was broadcasted on October 25, here. Watch 2nd episode of Junior Eurovision diaries, aired on October 24. This episode features interviews with lyricist of "People of the Sun" Avet Barseghyan, head of Armenian Eurovision delegation Gohar Gasparyan, choreographer Christina Avagimyan and of course Betty herself. Avet Barseghyan says that she knows Betty for quite a long time. "She has always been a positive, cheerful and active little girl. To me, her image is associated with something pure, light, bright and kind. "People of the Sun" is just about Betty, as she is just like a sun! I have to say that it fits to her perfectly!" "I have always been calling my friends people of the sun and during the creation process of the song it helped me to come up with some pitch lines and lyrics. Lyricist Avet Barseghyan, musician Mane Hakobyan and arranger of the song Martin Mirzoyan helped me to bring my song to its perfection. 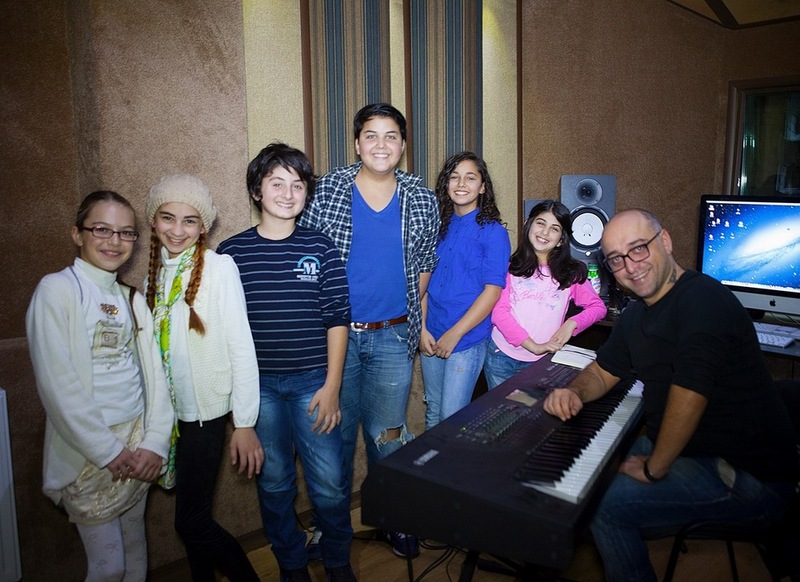 Since then I have been sure that our team is going to represent Armenia at JESC 2014 in Malta, as it is full of kindness and positive energy"
"There are many surprises to come and our team is doing its best to represent Armenia on its highest level. Betty is very responsible and hardworking. It’s so much easy to work with her. I have to say that Betty is no doubt so dynamic, plastic, optimistic and positive in her attitude. Betty is the crucial point of the whole performance and the rest are just going to help her to make the show complete and the best". Preparations of the stage performance are almost finished now. Besides Betty there are going to be 5 dancers and young gymnasts, students of "Hayordac tun" on the stage, and their show will be a fusion containing circus elements. "Each of us has a special role in our team. I have already noticed that we all are so different. For instance the boys are more active and the girls are still a bit shy, but I am going to work on it! We have really become good friends and I am sure we will get even closer as we have a long way to go together", says Betty. "Stage plans suggest a sunshine and colourful theme to the presentation, several props, and one "wow" element sure to surprise you!" Avet Barsegyan thinks Armenian team has chances to win in Malta. "What is really important is that we have a sunny image and this can be a key point leading to victory", he says. Christina adds: "Never in the history of JESC has been something like what we are going to represent this year in Malta. I believe that the juniors of the world will like our show a lot and will vote for Armenia". At the end of the diary Betty has named her favourites among other participants of the show. She thinks that the Maltese representative Federica Falzon will get a lot of attention focused on her as she has got such a powerful voice. "Hey Federica! I wish you the best of all and I am sure we will soon become friends! ", says Betty. 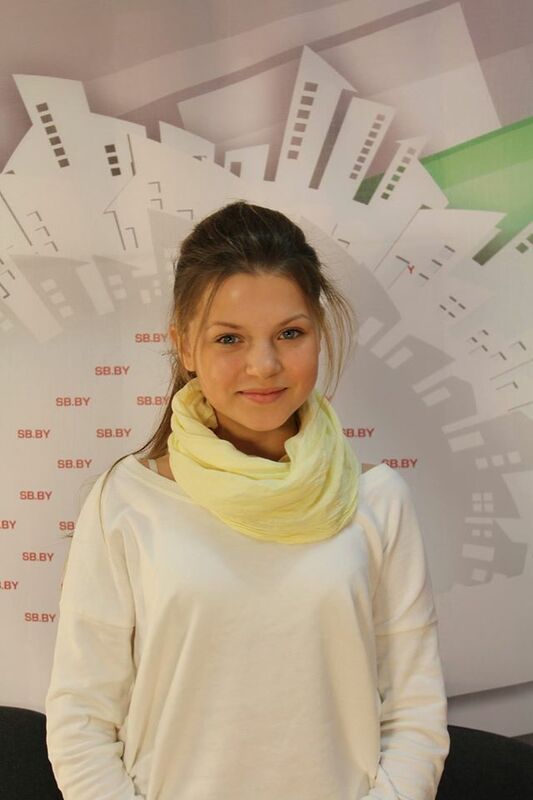 She also likes Nadezhda Misyakova from Belarus with "Sokal". "Nadezhda I wish you a very good luck and I hope that we will not be competitors but instead get along very well!". Slovenia's Junior Eurovision 2014 singer - 12 years old Ula Ložar - has released cover version of ESC 2014 winner song "Rise Like A Phoenix" of Conchita Wurst together with her mentors Maraaya (duet, including her vocal coach Marjetka & producer Raay). Guest on violin - Tina Sekula. Video has been produced by Karo Media, directed by Niko Karo. Cover instrumental produced by Raay Production. It is actually not the first "Rise Like a Phoenix" cover by Junior Eurovision 2014 participants. Earlier, the song has been performed in duet by JESC 2013 winner Gaia Cauchi and JESC 2014 entrant Federica Falzon from Malta. On the eve of the international finals of "Junior Eurovision" in Malta Russian broadcaster "Karusel" starts airing "Diaries of the contest". These short stories will acquaint viewers with a young Russian contestant. Fans of Alisa will learn how she got to the project "Golos.Deti" and won it, will be able to go behind the scenes of the recording studio and see how music video for the song "Dreamer" was shot. No less interesting for the viewers will be the stories about Alisa going on tour, or resting on weekends with the family, and during the week studying in her primary school and music school. 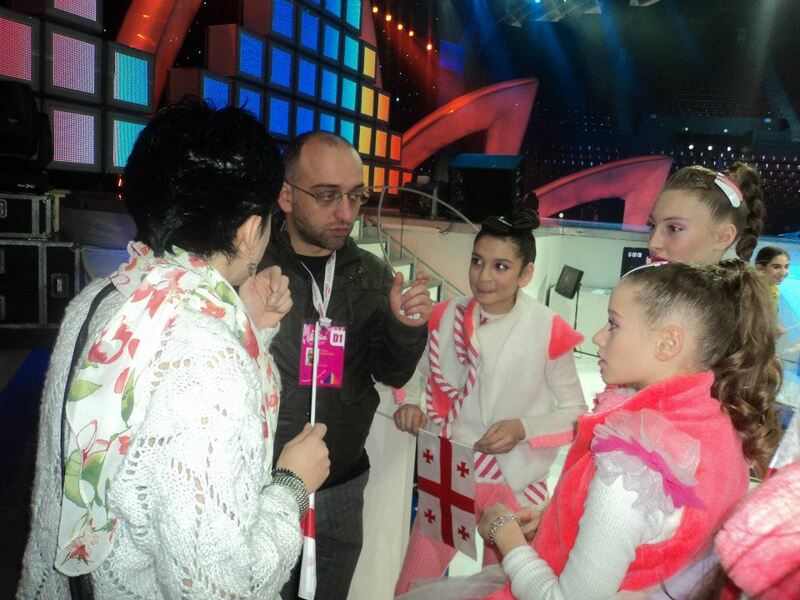 Every working day, from Monday October 27, "JESC diaries" on the TV channel "Karusel" at 05:25, 07:55, 18:25 CET. The technical team has started to build the stage at the Malta Shipbuilding, and PBS has prepared this short video to show how it is happening. They are also promising to release common song "#Together" shortly. You can read more about organization of the event on our event page. Вы можете вновь прочитать полную информацию о неделе Детского Евровидения на Мальте на блоге ESCKAZ (фото/видео/instagram). В 2007-2014 годах ESCKAZ прочно закрепился в качестве лидирующего вебсайта в освещении конкурса, наряду с официальным сайтом. В этом году репортажи ESCKAZ собрали свыше 300.000 просмотров на Youtube за 10 дней, что, по-меньшей мере в два раза больше, чем у любого другого независимого сайта (но пока несравнимо с нашими же показателями в 2млн со взрослого Евровидения). Также, в ночь финала конкурса наша страница собрала свыше 1го миллиона хитов. На ESCKAZ вы смогли увидеть и прочитать первыми: репортажи о прибытиях делегаций, репортаж о вечеринке открытия, первые эксклюзивные интервью со всеми 16 участниками конкурса, видео с пресс-конференций, репортажи с поездок в школы и на экскурсии, полные фото-видео отчеты с репетиций, 1200 фото и видео с генеральной репетиции и реакции делегаций на нее и пр. Вы можете вновь увидеть запись шоу на официальном сайте здесь (комментарии Люка Фишера и Даниеля Тесты), или без комментария здесь, отдельные видео на Youtube в HD здесь или здесь; с русским комментарием здесь (Радио России здесь), с украинским комментарием здесь (Радио Проминь здесь), с мальтийским комментарием здесь, с голландским комментарием здесь, с грузинским комментарием здесь, с итальянским комментарием здесь, с комментарием Сан-Марино здесь, со шведским комментарием здесь, или со словенским комментарием здесь, австралийский эфир здесь, радио эфир Radio Six здесь. Полная запись церемонии открытия доступна здесь, а наш репортаж с нее здесь. Смотрите пресс-конференцию с победителями здесь и наши интервью с ними здесь. Вы можете приобрести цифровую версию официального альбома конкурса на iTunes. Также можно приобрести и общую песню #Together. К сожалению, в этом году вновь не был выпущен для продажи официальный физический диск конкурса. Россия: 1.4% (увеличение с 0.8% в прошлом году). Посмотреть различные национальные репортажи о шоу вы можете здесь: Армения, Беларусь: дневник, телерепортажи, Youtube, Болгария: BNT, BTV, Youtube, Кипр, Грузия, Италия, Мальта, Нидерланды, Черногория, Россия, Сан-Марино, Сербия, Словения (Youtube), Швеция, Украина. Известные результаты: Швеция жюри; Италия телезрители. Никакие страны не могут считаться подтвержденными официально для участия в конкурсе 2015 как минимум до лета следующего года, однако, Нидерланды уже принимают заявки на участие в Junior Songfestival 2015 (крайний срок - 7 марта). Одна из участниц группы "The Peppermints" Анита Симончини, вместе с участником Детского Евровидения 2013 Микеле Перниола представят Сан-Марино на взрослом Евровидении 2015. Вновь, под девизом "Узнайте новости Евровидения первыми!" ESCKAZ запускает блог из Мальты. В этом блоге корреспонденты вебсайта будут публиковать самую свежую информацию с острова Детского Евровидения обо всем происходящем: репетициях, вечеринках, пресс-конференциях, экскурсиях и т.п. Следите за новостями с нами! Первые репортажи с Мальты будут опубликованы 7го ноября. Смотрите новый видеоклип на песню России на Детском Евровидении 2014 "Dreamer" в исполнении Алисы Кожикиной. ESCKAZ рад познакомить своих читателей с результатами системы рейтингов сайта. В прошлом году, победительница рейтингов ESCKAZ Гайя Кауки смогла подтвердить свой уровень и на самом конкурсе, чего мы искренне желаем и триумфатору голосования этого года. Рейтинги ESCKAZ - это наиболее престижная онлайн система рейтингов участников конкурса Детское Евровидение, обычно публикуемая перед началом Евронедели на ESCKAZ.com - самом посещаемом неофициальном сайте Детского Евровидения. В этом году вновь ESCKAZ возвращается к тройственной системе оценок нашего сайта, которая включает в себя голоса "Детского жюри", "Профессионального жюри" и голоса зрителей. В рамках "Детского жюри" мы попытались собрать детей и уже повзрослевших исполнителей разных возрастов (от 15 до 22 лет), участвовавших на конкурсах в разные годы (2003, 2006, 2008, 2011) и представлявших различные страны Европы. В этом году в состав этого жюри вошли 6 человек. "Голоса зрителей" - это результаты опроса на нашем сайте. Посещаемость сайта стабильна изо всех участвующих стран, что позволяет говорить о том, что итоги самого крупного онлайн опроса показательны для определения мнения "фанатской прослойки" конкурса. С полным текстом рейтингов вы можете познакомиться здесь. В это воскресенье, Юлия и ее танцоры отправятся на Мальту. Вебсайт Junior Songfestival будет представлять широкое освещение всего происходящего на конкурсе, его поклонники смогут узнать о каждом шаге Юлии, и каждый новый день будут публиковаться новые видео из-за кулис. Перелет, вечеринка открытия, отель, репетиции - вы узнаете обо всем. Промо-видео вы можете увидеть здесь. У вас есть хорошие идеи для закулисного видео? Или у вас есть вопросы для Юлии, Яна, танцоров, или кого-то еще? Заполните форму внизу этой страницы, и, возможно, ваш вопрос будет отвечен в одном из репортажей. Прямой эфир шоу на AVROTROS/Nederland 3 15го ноября в 19:00 с комментариям и Яна Смита. Всего лишь за несколько дней до отлета Юлии на Мальту, AVRO опубликовало видео, показывающее ее в более привычной обстановке - в школе, с друзьями и педагогами - увидеть его можно здесь. Юлия также посетила студию The Rocketeers для последних репетиций со своим педагогом по вокалу Робином - короткое видео об этом можно посмотреть здесь. Она также увековечила себя на "стене почета" студии the Rocketeers. Официальный вебсайт JuniorEurovision.tv публикует серию статей, представляющих участников конкурса, и вкратце рассказывает о планах сценического воплощения их песен. Вот несколько выдержек из этих материалов. Выступление Юлии Чедхаммар на мальтийской сцене будет вдохновлено пляжно-клубной темой, с множеством теплых цветов. С ней на сцене выступят 4 танцора, и их выступление будет включать в себя интересные световые эффекты, которые будут должны впечатлить зрителей. Световое оформление также будет играть ключевую роль в номерах Алисы Кожикиной и Винченцо Кантиелло, которые будут выступать на сцене в одиночестве. Одни на сцене будут и еще несколько артистов: Первая часть выступления Эмилии Джонин будет более интимной и романтичной, во время нее девушка будет играть на фортепиано. После того, как она поднимется из-за рояля и продолжит свою песню, ее выступление станет более ярким, и, конечно, она продемонстрирует свою главную силу - голос. Ула Ложар и Федерика Фальцон также будут одни на сцене, и они надеятся, что их голоса помогут им завоевать голоса зрителей со всей Европы. Крисия Тодорова будет петь, а Хасан и Ибрахим играть на фортепиано вокруг нее. Сухой лед, который использовался в видеоклипе, также будет использован и на сцене в Мальте. Выступление Юлии ван Берген не будет сильно отличаться от ее номера в Junior Songfestival. Вместе с ней на сцене будут четыре мальчика-танцора, которые усилят номер. Джози обещает показать сильное, игривое и динамичное представление. Вместе с ней на сцене будут выступать два энергичных мальчика-танцора. Танцовщицы, сопровождающие Надежду Мисякову будут играть в искуственные инструменты "дуда", а частью заднего экрана станут картины полей и лесов. The Peppermints обещают динамичное выступление, с белым и голубым освещением. Маша и Лейла также постараются создать яркую атмосферу, наполненную позитивной энергией, счастьем и танцами. Выступление Софии Патсалидес будет ярким и энергичным, подстать ее песне. За постановку номера и хореографию отвечает Харис Саввас. Планы номера Бетти говорят о том, что у него будет солнечная и яркая раскарска, несколько декораций, и один особый "wow" элемент, который должен удивить зрителей. Сценическая хореография трио Sympho-Nick" подчеркнет важность единства трех компонентов для взрастания весной любого растения. Поэтому, каждая из девочек будет держать лист, символизирующий семя, воду и землю. Когда все эти элементы объединяются воедино, на сцене будет твориться настоящее волшебство. "Благодаря опытному хореографу Татьяне Островерх, работы которой известны в Европе, зрители смогут почувствовать на сцене настоящую атмосферу сказки. В сегодняшее трудное время, которое переживает Украина, сказка необходима и детям и взрослым", говорят представители НТКУ. Армянская участница "Детского Евровидения 2014" — Бетти (Элизабет Даниелян), которая выступит на Мальте с песней "People of the sun", пообещала на своей пресс-конференции достойно представить Армению на конкурсе 15-го ноября. "Я обещаю выступить хорошо и не оставить равнодушным присутствующих в зале. Выступление будет, в первую очередь, солнечным"
"Я очень обрадовалась, когда выбрали меня, с детства мечтала участвовать в этом конкурсе", - рассказала Бетти. На сцене Евровидения вместе с ней будут выступать еще пятеро детей: три девочки акробата и два мальчика танцора. В качестве талисмана Бетти повезет с собой на мальту плюшевого медвежонка. Говоря о недавно презентованном клипе на конкурсную песню, Бетти отметила, что создание ролика в формате "селфи-видео" было ее идеей. "Это была моя идея. Я заметила, что "селфи" стали очень популярны во всем мире, и решила воспользоваться этим в своем ролике. Съемки прошли очень весело. Думаю, получилось хорошо",- сказала она. Руководитель армянской делегации Гоар Гаспарян отметила, что делегация через 3 дня отправится в Мальту. "В этом году конкурс пройдет под девизом "Вместе". С таким же настроением мы едем в Мальту представить очарование армянских детей"
"Конечно же, я мечтаю победить, чтобы в следующем году конкурс проходил в Армении. Но главная цель, хорошо провести время, подружиться с новыми людьми и постараться понравиться зрителями. Я слушала песни других участников, все они очень хорошие, и я стараюсь не рассматривать их в качестве конкурентов, они мои друзья, и, надеюсь, что мы с ними хорошо проведем время"
Видеоматериалы с пресс-конференции вы можете увидеть здесь. Мы вступили в последнюю неделю перед началом Евронедели на Мальте, и уже находимся на финальной прямой предконкурсных интервью с участниками Детского Евровидения 2014. Нашей следующей гостьей стала девочка со многими талантами: певица, композитор, писательница, программист, видеоблоггер... Джози Зец из Хорватии. Узнать о том, как создавалась ее конкурсная песня "Game Over" и как Джози готовится к конкурсу на Мальте вы можете здесь. Сегодня в продажу поступил официальный альбом Конкурса Песни Детское Евровидение 2014 - Мальта. Как обычно, он включает в себя 16 участвующих композиций в их студийных версиях, а также караоке версии к ним. Дистрибуцией альбома занимается компания Universal Music (Pty) Ltd. и он уже доступен в таких популярных интернет магазинах, как iTunes (149 рублей) или 7digital, muz.ru и др. Альбом можно приобрести из любой страны мира, за исключением США и Канады. К сожалению, как и в 2013 году физический диск не поступит в открытую продажу, поскольку ряд заявок с песнями от стран поступил слишком поздно, чтобы успеть напечатать и распространить подобный диск. Стриминг-сервисы, такие как Spotify или Яндекс.Музыка пока предлагают прослушать только трек Швеции - "Du är inte ensam" Юлии Чедхаммар. Несколько песен на официальном диске длинее трех минут, разрешенных правилами конкурса. Ранее, представитель ЕВС Люк Фишер прокомментировал это следующим образом: "Все минусовки, заявленные делегациями, были проверены на соответствие правилам, касающимся длины трека. Однако, здесь присутствуют небольшие допустимые отклонения... в обоих конкурсах Евровидения, вы можете часто заметить пару песен каждый год, которые будут на 3-4 секунды длинее трех минут, если в них используется какой-либо фейд ин/аут". На караоке-версиях России, Хорватии, Болгарии, Черногории и Словении не прописан бэк-вокал, однако, неизвестно, будут ли использоваться те же самые минусовки и на конкурсе, или, как в случае со Словенией, они будут изменены. Представительница Сербии Эмилия Джонин говорит: "Все мои дни наполнены различными обязательствами. Но я не против этого - я получаю огромное удовольствие!". Помимо новых обязательств, связанных с Детским Евровидением, она продолжает заниматься в 8м классе средней школы, музыкальной школе, и активно принимала участие в конференции "Teen Talk", посвященной проблемам и дилеммам в жизни подростков. В воскресенье, 2го ноября, Эмили приняла участие в программе "Недельно поподне" телеканала РТС 1, где исполнила песню Эми Уайнхаус "Valerie".Короткое интервью с певицей можно увидеть здесь. Также Эмилия Джонин приняла участие в телешоу "Жикина Шареница" и вы можете посмотреть ее интервью (на сербском языке) и сценическое выступление с песней "Свет у мојим очима" здесь. Представительница Словении Ула Ложар сегодня снова выступила в программе NPU Улы Фурлан на телеканале RTVSlo 1, где впервые исполнила вживую на телевидении свою песню "Nisi sam / Your light". Она также смогла встретиться и пообщаться с представительницей Словении на Евровидении 1995 и 1999 года Дарьей Швайгер, которая также была гостьей в шоу. Видео выступления Улы вы можете увидеть здесь (начинается в 1:12:00) или здесь. Поклонники немедленно заметили некоторые изменения, произошедшие в той версии "Nisi sam", которую Ула исполнила на шоу. ESCKAZ попросил прокомментировать их соавтора песни, композитора и продюсера Раая, и педагога по вокалу Улы Марьетку Вовк, также известных как дуэт Maraaya. "До того, как мы завершили работу над полноценной живой версией песни, у нас было время доработать ее последнюю часть, добавив в нее мощный бэк-вокал в завершающем припеве, и небольшую вокальную эквилибристику-импровизацию Улы перед этим. Действительно, эта новая версия и будет исполнена на Мальте", говорит Раай. "С самого начала это было желанием самой Улы - в этой части песни сделать небольшую вокальную импровизацию, когда мы репетировали песню, она продолжала петь мелодию в этой части таким образом, и в конце-концов мы все полюбили именно эту версию", добавляет Марьетка. Композитор песни Грузии "Happy Day" Гига Кухианидзе дал интервью журналу "Рейтинги". Гига вполне может гордиться своими результатами на Детском Евровидении - дважды его песни побеждали на конкурсе, один раз занимали 2е место, и еще ни разу не опускались ниже 5го места. "Подготовка идет прекрасно. Мы сняли видеоклип, который собрал весьма положительные отзывы от интернет пользователей. Мы разработали очень интересный промо-пакет, который мы будем распространять на конкурсе, в который, по традиции, вошел аудиодиск. Готовы костюмы, которые создала опытный дизайнер Марика Курдубадзе. Наша певица - Лизи Джапаридзе, несмотря на то, что ей всего 10 лет, она говорит по английски, русски, французски. С раннего детства она занимается в нашей "Bzikebistudio", она пела дуэт с группой "Candy", сыграла главную роль в нашем мини-мюзикле, выпустила несколько видеоклипов, пела на концертных площадках. Поэтому сцена и камеры для нее не будут в новинку. На кастингах она впечатлила всех, и жюри Грузинского Телевидения выбрало ее для участия в конкурсе. Наша песня несет миру месседж о том, что дети хотят быть счастливыми каждый день... Я очень прошу всех, кому нравится наша песня, кто симпатизирует ее месседжу, распространять ее в Facebook и других социальных сетях, оставлять свои комментарии. В этом году на конкурсе принимают участие 16 стран. Очень сложно предсказывать результат заранее, даже несмотря на то, что я обладаю достаточным опытом. До начала репетиций невозможно делать какие-либо выводы. Самым важным является то, что ребенок должен быть хорошо подготовлен, его номер должен быть интересным, запоминающимся и выделяющимся, и каждый его участник - выкладываться по полной. Наше выступление будет достаточно детским, потому что мы всегда принимаем во внимание возраст наших участников. Скажем, Мариам Кахелишвили было 15 лет, и у нее был номер, соответствовавший ее возрасту. Наше выступление будет современным, помимо Лизи на сцене будут 4 девочки, две акробатки: Нита Ломидзе, дочь Теи Гобеджишвили, и Кати Арболишвили, и две девочки из "Bzikebistudio": Деа и Софо Дашниани. Их костюмы будут достаточно экстравагантны. В этом году наше выступление вновь будет сильно отличаться от того, что мы показывали на конкурсе в прошлые годы, и я очень рад тому, что каждый раз работая с одной и той же командой, нам удается каждый год показывать зрителям что-то соверешнно новое". Делегация Грузии отправится на Мальту 8го ноября. Менее недели остается до отъезда команды ESCKAZ на Мальту, откуда мы будем, как и обычно, вести репортажи обо всем происходящем на Евронеделе. Участвующие артисты также уже завершают домашние репетиции, и их номера уже отполированы до максимума. На этот раз мы пообщались с представительницей Кипра Софией Патсалидес. К сожалению, она пока не захотела рассказать о деталях своего сценического номера и хореографии, которую готовит Харис Саввас, но мы узнали другие интересные факты об ее участии на конкурсе. С интервью вы можете познакомиться здесь. Представительница Болгарии на Детском Евровидении Крисия Тодорова встретилась в своем родном городе Разграде с ведущей телеканала БНТ Мирой Добревой. В шоу "Отблизо c Мира" в эту субботу юная певица поведает о том, что является большой поклонницей футбола, и одним из ее любимых времяпрепровождений в выходные является игра в футбол с мальчиками города. "Только если они хорошо играют", говорит Крисия. В шоу, которое выйдет в эфир в 11:00 местного времени на БНТ 1, станет ясным, что Крисия и футбольная команда "Лудогорец" - являются настоящей гордостью Разграда. Крисия также расскажет, что каждый день спешит домой, чтобы рассказать о самых интересных событиях дня своей плюшевой собаке. Зрители также узнают, какая книга любимая у Крисии, и о ее радости от участия в Детском Евровидении. Также Мира Добрева побывала в школе Крисии и пообщалась с ее одноклассниками и учителями. "Целый день, несмотря на очень сложное расписание, Крисия ведет себя как настоящий профессионал, и улыбка никогда не сходит с ее лица. Даже, когда мы попросили ее спеть отрывок песни "Planet of the children", то она спела всю песню целиком - и так проникновенно, как будто она уже выступает на мальтийской сцене", говорит Мира Добрева. Промо-видео к программе можно увидеть здесь. Полный эпизод с Крисией вы можете увидеть здесь. Начиная с 21:40 Крисия поет свою песню "Planet of the Children" вживую. Нашим следующим гостем становится представитель Италии Винченцо Кантиелло, который только что вернулся из своего первого международного турне в Вашингтон, США. Интервью с единственным мальчиком на конкурсе вы можете прочитать здесь. Итальянский вебсайт Eurofestival news сегодня сообщает о новых деталях, касающихся эфира шоу на Rai Gulp. Как и ожидалось, Антонелла Клеричи станет ведущей специальной превью-программы, которая выйдет в эфир с 18:40 до 19:00, а также двух прямых включений со студией во время рекламных пауз, и в конце шоу подведет его итоги. Ожидается, что в числе тех специальных гостей, кто присоединится к ней, станет молодой рэппер Морено, победитель шоу талантов Amici. Однако, сегодня стало известно, что само шоу с 19:00 до 21:30 будет комментировать 27-летний Симоне Лийой. Он известен молодым зрителям по роли Луки Кавильи в сериале Виолетта, выходящем на телеканале Disney, а каждое воскресенье с 18:20 он ведет программу "Gulp Cinema e Teatro" на Rai Gulp. Официальным хештегом эфира финала шоу на Rai Gulp станет #eurogulp. До финала Детского Евровидения остается всего две недели, и три огромные здания, входящие в состав Malta Shipbuilding в городе Марса, начали свое преображение в соответствующую для крупнейшего музыкального мероприятия арену. У нее будет вместимость в 4500 посадочных мест, плюс около 800 человек смогут разместиться в стоячей фан-зоне перед сценой. Работники огромных зданий, построенных 40 лет назад для осуществления работы, связанной со сборкой и ремонтом кораблей, никогда не могли и предсказать, что однажды, те же самые здания будут использоваться для концертов такого уровня, как Детское Евровидение и отбор Мальты на взрослый конкурс Евровидения. В настоящее время три здания, последнее время использовавшиеся как склады для верфи, переполнены активностью, которая призвана трансформировать площадку размером в три футбольных поля, в нечто, что по словам арт-директора шоу Джона МакКалуга, должно напоминать классический театр с балконными ложами по бокам. Как и ожидалось, работа на Malta Shipbuilding, которая была фактически заброшена несколько лет назад, стала довольно серьезным вызовом для организаторов шоу. Чарльз Магро, отвечающий за подготовку и логистику, говорит, что проведена огромная работа, чтобы привести площадку в надлежащее состояние. Говорят, что представители Европейского Союза остались очень впечатлены от того, как Мальта готовится к конкурсу, что по словам г-на Магро показывает, что Мальта действительрно способна организовать международный фестиваль высшего уровня. Команда Детского Евровидения объявила сегодня о введении новой инциативы для поклонников шоу, живущих в неучаствующих в нем странах - онлайн голосования. Впервые, фанаты из таких стран, как Австралия, Бразилия, Америка, Южная Африка и др., смогут проголосовать за своих фаворитов в Детском Евровидении. Голосование поклонников конкурса из-за пределов 16 участвующих в нем стран будут учтены в рамках "Online Award" – специального символического приза, который будет вручен его обладателю на пресс-конференции по окончанию шоу. В этом году результаты онлайн-голосования из неучаствующих стран не будут никаким образом влиять на сами результаты конкурса, но, все же, все желающие смогут таким образом поддержать свои любимые песни. В рамках окна для телеголосования, зрители, следящие за шоу онлайн, будут перемещены на специальную интернет-страницу, где смогут проголосовать за своих фаворитов. Можно будет отдать только один голос за понравившуюся вам песню. Все эти голоса будут просуммированы, и победитель получит звание "Победителя онлайн голосования" и соответствующий символический приз, который будет вручен уже вне рамок телешоу. Новый партнер по организации голосования, компания "Sound of Data", разработал в рамках своей подготовки к организации телеголосования на конкурсе, отдельную онлайн-платформу, использующую ряд возможностей для контроля, и не допускающую какой-либо манипуляции голосованием извне. В онлайн голосовании смогут принять участие только лица, прожвающие вне 16-ти участвующих стран. Жители участвующих стран смогут принять участие в официальном голосовании, как обычно, с помощью своих городских и мобильных телефонов. Эфир конкурса в интернете будет осуществляться на сайте JuniorEurovision.tv с 21.00 Москвы в субботу, 15 ноября. В этом году вновь онлайн эфир конкурса будет предоставляться с англоязычным комментарием, а его зрители будут приглашены к интерактиву, путем использования хештега #jesc2014. Общественное ТВ Армении представило селфи видеоклип на песню "People of the Sun" Бетти. "Селфи-видео не имеет аналогов в истории, не только Евровидения, но и мировой практики", говорит глава делегации Армении Гоар Гаспарян. Делегация Армении попыталась снять видеоклип в молодежном стиле, совместив его с девизом конкурса этого года: #вместе. "Интернет - это неотъемлимая часть нашей жизни, и сегодня практически каждый молодой человек зарегистрирован в социальных сетях, каждый день делает селфи фото, публикует их на своих страницах, поэтому мы и решили снять селфи-видео", объясняет Гаспарян. Производство: Общественное Телевидение Армении. Public Television of Armenia. Прическа: Arminka Beauty Studio. Костюм: Лилит Маргарян. Гоар считает, что Армения является одним из фаворитов на победу в этом году: "Важно иметь общий шарм, с помощью которого участник сможет завоевать зрительскую аудиторию, но другие компоненты: хороший голос, песня, умение выступать на сцене, энергетика - не менее важны, и только комбинация их всех вместе может привести к победе на конкурсе", говорит она. Сама же Бетти надеется, что всем понравится ее клип, который представляет ее красивый город. Она была рада вновь встретиться со своими друзьями с прошлых конкурсов, и они прекрасно провели время вместе. Теперь Бетти с нетерпением ждет солнечных дней на Мальте, где она сможет завести новых друзей и отлично провести время. Она уверена, что сможет победить на шоу, и для того, чтобы добиться этого, ей не потребуется никаких особых способов привлечения зрителя - нужно просто быть счастливой, а счастье всегда побеждает. Среди представителей других стран фаворитами Бетти являются Швеция, Болгария и Грузия. В гостях студии "Твоего сегодня" газеты "СБ" побывали Надежда Мисякова, представительница Беларуси на детском "Евровидении-2014" и Людмила Бородина, руководитель национального отбора, а так же эксперты - Дмитрий Партон, заместитель главного редактора "СБ", Виктория Попова, редактор отдела культуры "СБ" и Владимир Максимков, телевизионный продюсер. Помимо вопросов, связанных непосредственно с подготовкой Надежды к конкурсу, они обсудили горячую тему: куда исчезают таланты после вполне приличных выступлений на детском "Евровидении". Полную запись программы вы можете увидеть здесь. "Песня родилась дома, в моей комнате. Комната - это мини творческая мастерская, там царит вдохновение, и я чувствую себя как в своей крепости. Там у меня часто рождаются стихи, песни, стоит синтезатор, на котором я могу подыграть", рассказывает Надежда. "В прошлом году нам уже понравилось сотрудничать с Юзари, мы друг друга понимаем, разговариваем на одном языке, поэтому, и обработку "Сокола" также предложили ему". "Если изначально то зерно, из которого выросла песня, по настоящему талантливая - то здесь нельзя глубоко вторгаться в авторский замысел, здесь можно только подкорректировать, добавить некоторые краски", добавляет Людмила Бородина. "Команда взрослых, которые работают с нашим детьми очень деликатна, их всегда интересует мнение ребенка, нравится ему или не нравится, важно, чтобы исполнитель выходя на сцену чувствовал себя уверенно и комфортно". Надежда этим процессом очень довольна: "Взрослые всегда прислушиваются к моему мнению и это очень мне приятно. У нас довольно плотный график, но я получаю большое удовольствие от процесса подготовки". "Очень отрадно, что песня написана самой Надюшей, она будет петь со своих слов, отображать свои собственные эмоции. Бывает обидно, когда на отборочном туре мы видим талантливого ребенка, который не совпадает с песней, это чаще всего происходит, когда ребенок не сам писал песню, а за него все решили взрослые", говорит Людмила Бородина. Надежда также рассказала, что прошла отборочные туры до уровня слепых прослушиваний в шоу "Голос.Дети" на Российском Первом Канале, однако, формирование команд завершилось до ее выступления, да и из-за подготовки к Евровидению, она не могла уделять время второму проекту. "Я не жалею, что так произошло, все-таки Евровидение - это очень масштабный конкурс. Все сложилось так, как оно должно было быть. Может быть через пару лет поеду на взрослый "Голос". "В прошлом году, когда победила Гайя Кауки, после конкурса один из журналистов заметил, что он боится, что в этом году победила баллада, и в следующем году все будут петь баллады. В этом году действительно, около половины всех песен - баллады. Не претендуя на какие-то оценки и прогнозы, но на общем уровне Надина песня выделяется, она своеобразная, самобытная, и это в плюс", говорит Людмила Бородина. "#together", тематическая песня Детского Евровидения 2014, была представлена сегодня в полдень в школе им. Св. Франциска в Слиме. Песню впервые на публике исполнила победительница шоу прошлого года Гайя Кауки. Авторы песни - композиторы Элтон Зарб и Гордон Бонелло, на слова Мата Муксу. На мероприятии также выступила танцевальная группа Dance Project под управлением Кристины Анны Шранц. Презентация песни прошла в присутствии министра внутренних дел и национальной безопастности доктора Эмануэля Маллиа, который отвечает в правительстве за работу национального вещателя, председателя PBS доктора Тонио Португезе, генерального директора телеканала и исполнительного продюсера шоу Антона Аттарда, и руководителя школы сестры Эдмондины вместе с членами мальтийской делегации на Детском Евровидении, учителями и учениками школы. Дополнительная информация об общей песне, а также ее текст, доступны здесь. Поклонники Детского Евровидения в Австралии снова смогут следить за шоу на экранах своих телевизоров, поскольку телеканал SBS подтвердил, что вновь будет транслировать шоу. Несколько лет в Австралии шоу транслировалось в новогодние праздники, с большой задержкой, но в прошлом году SBS впервые показал Детское Евровидение на следующий день после шоу, и после положительных рейтингов, было принято решение продолжить эту практику и в этом году. В этом году эфир Детского Евровидения в Австралии выйдет на телеканале SBS 2 в 19:30 местного времени, то есть жители этой страны смогут увидеть его спустя 12 часов после окончания шоу на Мальте. После успешного выступления Джессики Маубой на полуфинале взрослого Евровидения 2014 в Копенгагене, она откроет эфир Детского конкурса для австрийских зрителей, после чего передаст микрофон двум молодым австралийским звездами - 21-летнему исполнителю и продюсеру Андре Ноокаду и 17-летней певице, танцовщице, актрисе и финалистке Young Talent Time Джорджии МакКарти, которые, как и в прошлом году, расскажут зрителям все о происходящем на экране. Промо-видео эфира можно увидеть здесь. Особо преданные поклонники конкурса смогут смотреть шоу в прямом эфире на вебсайте JuniorEurovision.tv, это будет с 05:00 до 07:30 по времени Австралии. Представительница Швеции Юлия Чедхаммар выпустила видеоклип на акустическую английскую версию своей песни "Du är inte ensam", озаглавленную "You Are Not Alone". Видеоклип сняла компния Sky Pictures. Следующие гостьи интервью-сессий ESCKAZ - представительницы Черногории Маша Вуядинович и Лейла Вулич. Девочки приедут на Мальту с желанием заразить всех зрителей своими улыбками и передать дозу оптимизма через экраны телевизоров. О том, как продвигается их подготовка к конкурсу, вы можете узнать - здесь. В прошлую пятницу представительницы Украины трио Sympho-Nick стали гостями шоу "Радиопрес" на радиостанции "Проминь". Они представили в эфире Украинского радио песню "Прийде весна" и рассказали о своей подготовке к финалу Международного песенного конкурса. В программе также приняли участие представители НТКУ Лилия Ямборак и Тимур Мирошниченко, а также журналисты Телепростiра Владимир Мула и FM-TV Владимир Бирюков, которые обсудили не только участие страны в Детском конкурсе, но и проблемы участия во взрослом Евровидении. "Кроме занятий вокалом и хореографией, мы принимаем участие в различных программах на Первом Национальном телеканале. Мы уже снялись в программах "Казки Сашка лірника", "Школа Мери Поппинс" и "Хочу бути". Мы также находим время общаться с поклонниками и фанатами Евровидения на онлайн-конференциях", рассказали участницы группы. "К сожалению, мы еще не успели пообщаться ни с кем из участников других стран, но, надеемся, что на Мальте мы с ними со всеми подружимся". "Песня Spring Will Come отображает прежде всего внутреннее состояние девушек. Это нежная, лиричная композиция с динамичными вставками. Конечно же она отображает и нынешнюю ситуацию в стране и дает надежду на светлое будущее. Этой песней девушки хотели донести, что существует и живет вера в будущее, что настанет весна, весна свободной и независимой Украины", говорит Лилия Ямборак. На вопрос того, стоит ли на Детском конкурсе исполнять патриотическую композицию, Тимур Мирошниченко отметил: "Сцена Евровидения - это серьезный плацдарм, для того, чтобы показать свою позицию, свою идею, донести ее до Европейской аудитории, поэтому, я считаю, что это абсолютно верное решение". Он также рассказал, что на данный момент все эксперты и поклонники конкурса положительно оценивают заявку Украины. "Sympho-Nick уже очень профессиональные артисты, с этим согласны все кто видел выступление группы". В свою очередь, Лилия Ямборак рассказала, что на данный момент пока нет решения о том, будет ли в следующем году НТКУ продолжать участие в Детском конкурсе, или может также отказаться от него на год, как и от взрослого. По поводу голосования Крыма, Лилия ответила, что в Детском конкурсе ситуация будет решаться также, как на взрослом Евровидении: эти голоса будут подсчитаны в зависимости от того, с номеров каких операторов будут отправляться СМС. Прослушать запись программы вы можете здесь. Болгария возвращается на Детское Евровидение с полной силой, отправляя на конкурс юную звездочку Крисию Тодорову и талантливых близнецов-пианистов Хасана и Ибрахима Игнатовых. Видеоклип на их конкурсную песню уже собрал свыше 500 тысяч просмотров на Youtube, и замахнулся на то, чтобы стать в самом ближайшем будущем самой просматриваемой песней Детского Евровидения 2014. Новая Facebook страница трио собрала практически за несколько дней свыше 16 тысяч подписчиков. Посреди усиленных репетиций и подготовки к конкурсу Крисия, Хасан и Ибрахим нашли время пообщаться с ESCKAZ, и с их интервью вы можете познакомиться здесь. Наша следующая гостья в рамках интервью-сессий - Юлия Чедхаммар из Швеции. Она рассказала нам о своей подготовке к самому крупному мероприятию в ее жизни, изменениях в ее сценической постановке и добавлении в песню припева на английском языке. С интервью вы можете познакомиться здесь. Детское Евровидение 2014 будет показано на телеканале SVTB с комментариями Эдварда аф Силлена и Ильвы Хэллен. Прошлогодний конкурсант Элиас Элффорш Эльфстрём станет глашатаем Швеции на конкурсе. Запись первого эпизода Lilla Melodifestivalen, показанного 25го октября, вы можете увидеть здесь. Смотрите 2й выпуск дневников Детского Евровидения, вышедший в эфир 24го октября. В него вошли интервью с автором текста песни "People of the Sun" Аветом Барсегяном, главой делегации Армении на Евровидении Гоар Гаспарян, хореографом Кристиной Авагимян, и, конечно же, самой Бетти. Авет Барсегян рассказал о том, что уже давно знаком с Бетти. "Она всегда была позитивной, веселой и активной девочкой. Для меня ее образ ассоциируется с чем-то чистым, светлым, ярким и добрым. "People of the Sun" - как раз о Бетти, ведь она как маленькое солнышко. Ей эта песня подходит отлично!" "Я всегда называла своих друзей "людьми солнца", и во время процесса написания песни это помогло мне придумать несколько строк текста и вокальных мелодий. Автор текста Авет Барсегян, композитор Мане Акобян и аранжировщик песни Мартин Мирзоян помогли мне довести ее до совершенства. С того самого момента я была уверена в том, что наша команда будет представлять Армению на Детском Евровидении 2014 в Мальте, потому что наша песня наполнена добротой и позитивной энергией"
"Наша команда делает все, чтобы представить Армении на самом высоком уровне. Зрителей ждут множество сюрпризов. Бетти подходит к процессу очень ответственно и работает в полную силу. С ней работать очень легко. Без сомнения я могу сказать, что она пластичная, динамичная, оптимистичная и позитивная в своем подходе. Бетти сама - это ключевой момент всего выступления, а все остальное, происходящее на сцене, должно лишь сделать шоу более полноценным и выделяющимся". Подготовка номера в настоящее время уже практически завершена. Вместе с Бетти на сцене выступят 5 танцоров и молодых гимнастов, занимающихся в ансамбле "Hayordac tun", и их шоу будет содержать в себе цирковые элементы. "У каждого из нас есть своя отдельная роль в номере. Я уже отметила, что мы все очень отличаемся друг от друга. Например, мальчики - более активные, а девочки - немного скромные, но я с ними над этим поработаю! Мы уже все сдружились, и я уверена, что проведя вместе еще больше времени, станем еще ближе друг другу", говорит Бетти. "Планы постановки предусматривают солнечное и красочное оформление номера, ряд декораций, и один особый "wow" элемент, который обязательно вас удивит!" Авет Барсегян полагает, что у Армении есть шансы на победу на Мальте. "Важнее всего то, что у нас позитивный, солнечный имидж, и это может стать ключом к нашей победе", говорит он. Кристина добавляет: "Еще никогда в истории Детского Евровидения на сцене не было ничего похожего на то, что мы продемонстрируем на Мальте. Мне кажется, что детям и подросткам всех стран понравится наше шоу, и они проголосуют за Армению". В конце дневника Бетти назвала своих фаворитов из числа других участников конкурса этого года. Она считает, что очень много внимания к себе привлечет представительница Мальты Федерика Фальцон, которая обладает воистину мощным голосом. "Привет, Федерика! Я желаю тебе всего наилучшего, и я уверена, что мы сможем подружиться! ", говорит Бетти. Ей также нравится и Надежда Мисякова с песней "Сокал". "Надежда, я желаю тебе удачи, и надеюсь, что мы не будем соперниками друг другу, а сможем хорошо поладить!". Представительница Словении на Детском Евровидении 2014, 12-летняя Ула Ложар, выпустила кавер-версию песни-победительницы Евровидения 2014 "Rise Like A Phoenix" Кончиты Вурст вместе со своими менторами Maraaya (дуэт, включающий в себя ее педагога по вокалу Марьетку и продюсера Раая). Гость на скрипке - Тина Секула. Видеоклип сняла компания Karo Media, режиссер Нико Каро. Запись инструментала - Raay Production. Интересно, что это уже не первая кавер-версия на "Rise Like a Phoenix" в исполнении участников Детского Евровидения 2014. Ранее, песню исполняли в дуэте победительница конкурса 2013 Гайя Кауки и участница конкурса этого года Федерика Фальцон из Мальты. В преддверии международного финала конкурса "Детское Евровидение" на Мальте телеканал "Карусель" начинает показ "Дневников конкурса". Эти сюжеты познакомят зрителей с юной российской конкурсанткой. Поклонники Алисы узнают, как девочка попала на проект "Голос.Дети" и победила в нем, смогут побывать за кулисами сцены, в звукозаписывающей студии и увидеть, как снимался клип на песню "Dreamer". Не менее интересными станут для зрителей сюжеты о том, как Алиса ездит на гастроли, отдыхает в свои выходные дни с семьей, а в будние - учится в гимназии и музыкальной школе. Каждый рабочий день, начиная с понедельника 27 октября, дневники конкурса в эфире телеканала "Карусель" в 07:25, 09:55, 20:25. Техническая команда приступила к возведению сцены в помещении Malta Shipbuilding, и телеканал PBS подготовил короткий ролик, чтобы показать, как это происходит. Также, обещается в ближайшее время представить и общую песню "#Together". С информацией об организации конкурса вы можете познакомиться здесь.